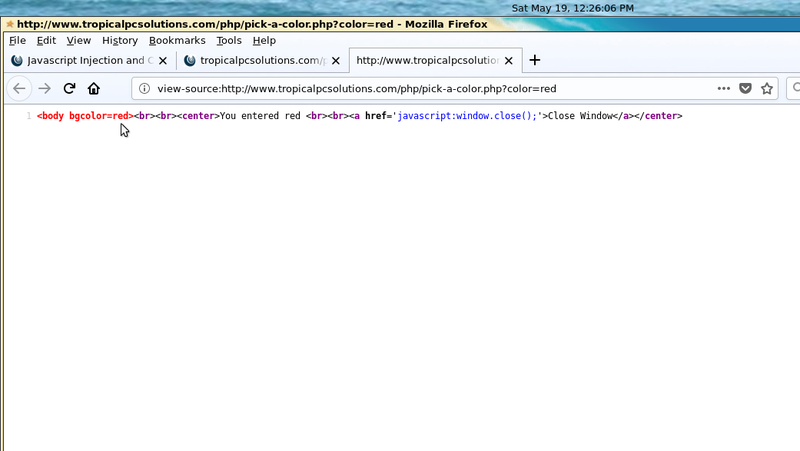 This is a simple program that allows you to choose the background color of a webpage. For instance, type in red, purple, or green. You will be greeted with a page that displays the color of your choice. The below program is the same as the one above, however it sanitizes the user input so it doesn't allow Scripting Injection. 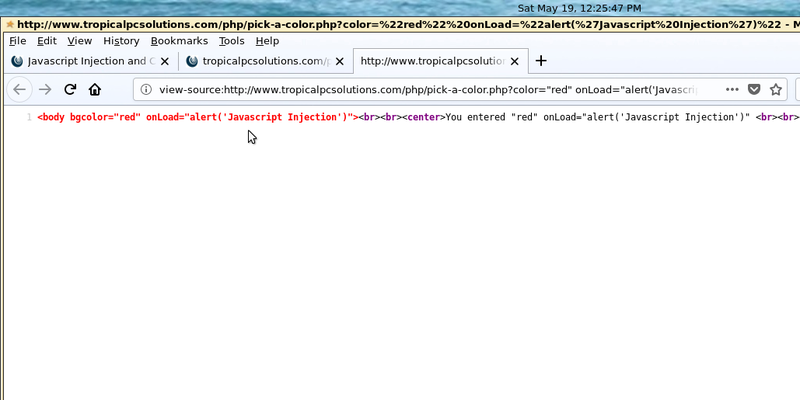 If you try to inject any code, the code won't run.